A Private Pilot license allows you to enjoy all the privileges of flying a helicopter. If you plan to fly helicopters professionally, this is the first step in your aviation career. A private pilot license allows you to take passengers along for a flight, as long as they are not paying to do so. This pilot’s license is necessary for individuals who want to own their own helicopter for personal use and enjoyment. The FAA has regulations on the aeronautical knowledge and experience required in order to obtain each certificate. There is no reason a devoted student pilot teamed with a skilled flight instructor can’t progress through the flight training to achieve these pilot ratings at FAA minimums. To prepare you for the Private Pilot exam, our Private Pilot flight school combines flight training and ground school. Flight training is always conducted one-on-one with your flight instructor. This allows us to consistently hold our student pilots to the highest of standards throughout their flight school experience. 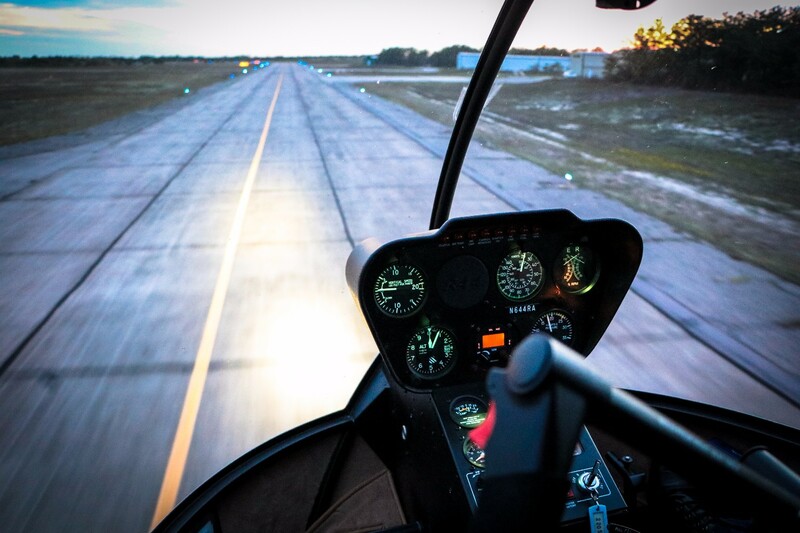 The first phase of your pilot training will be your introduction to helicopter aerodynamics. Understanding how helicopters fly will have great benefits as you take the helicopter controls as well as help you learn to perform a thorough “pre-flight” on the helicopter, the first step when learning to fly. This is an important step of every helicopter flight. You will also focus on learning how to fly and control the helicopter, including basic maneuvers like hovering, approaches, departures, airport traffic patterns and communications. This will prepare you for your first solo helicopter flight after flight school. In the following phase of flight school, you will continue to improve your skills in all the basic maneuvers while gaining proficiency in handling emergency procedures. You will learn to fly and how to properly plan for and complete cross-country flights along with understanding weather concepts and charts. The final phase of flight school will prepare you for your examination: honing your maneuvers, emergency procedures, navigation, and overall knowledge. After adequate preparation, your instructor will endorse you to sit for the Private Pilot License examination. Upon completion of the exam, you will officially become a licensed helicopter pilot. Receiving your Private Pilot certificate is the first step to an aviation career. If you want to become a professional pilot, a student may continue flight training in preparation for a Commercial Pilot License.